Ameera Shah turned her father's nondescript clinic into one of the largest pathology chains in India. 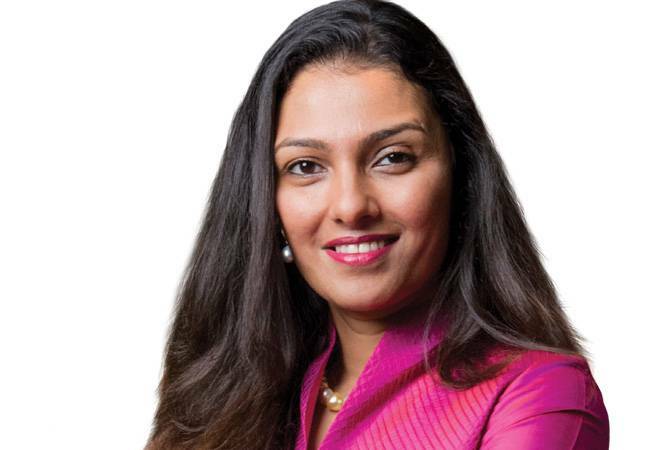 Ameera Shah, Promoter and Managing Director, Metropolis Healthcare, worked as a CEO, accountant, sales person and even as a receptionist when she got on with turning around her father's laboratory from Dr Sushil Shah's Laboratory to Metropolis Healthcare. "There were no computers or mobiles then in our office," recalls Ameera. Working in a resource-crunched environment, Ameera realised women entrepreneurs needed a lot more than just ideas and funds. With this thought, she recently launched Empoweress, a not-for-profit venture, which mentors women entrepreneurs, and provides expert guidance and funds. Already more than 3,000 women entrepreneurs across India are her followers. "Women in business need huge support beyond funding and ideas to succeed in life and business," says Ameera, a new entrant to Business Today's "Most Powerful Women" listing. She is not yet 40, but has almost two decades in leading a business. She transformed Metropolis into one of the largest pathology chains with over 4000 employees, 130 laboratories across six countries and handling conducting over 16 million blood samples and profiles a year. While growing the business, she had to encounter a bitter boardroom battle with a promoter having equal equity stake. She won the battle in 2015, personally borrowed Rs600 crore from private equity firm KKR to purchase shares and paid off that money. While Ameera was studying in the US, her father was running Dr Sushil Shah's Laboratory at Opera House in South Mumbai. Her mother Duru Shah, a gynaecologist, was running a small clinic. When she returned from the US in 2001 - after acquiring a degree in finance and working briefly with Goldman Sachs and later with a start-up - Dr Sushil Shah's Laboratory had 40 employees and revenues of Rs7 crore a year. "We wanted to make the laboratory known outside Mumbai, and turn it into an institution," recalls Ameera. Shah was almost close to clinch a deal with a big Tamil Nadu-based business group, but that got stalled after the sudden death of its promoter. That was when GSK Velu, a health-care entrepreneur, teamed up for expansion. The company name was changed to Metropolis. Metropolis is present across India, West Asia and Africa. In 2006, it raised private equity capital from ICICI Ventures. Four years later, Warburg Pincus bought out ICICI's stake and a bit from the promoters, valuing the firm at Rs600 crore. By 2009, Velu moved into a non-executive role and Ameera became the managing director. In 2015, she bought out Warburg's 27 per cent stake with the backing of private equity firm KKR. Simultaneously, Carlyle Group acquired Velu's stake for an estimated Rs800-900 crore. Currently, the Shah family holds about 70 per cent stake and the firm is valued at about Rs6,500 crore. "Going forward, we will grow in North and East India and will add more in South India. We plan to invest $10 million in next 3-4 years in technology," says Ameera.